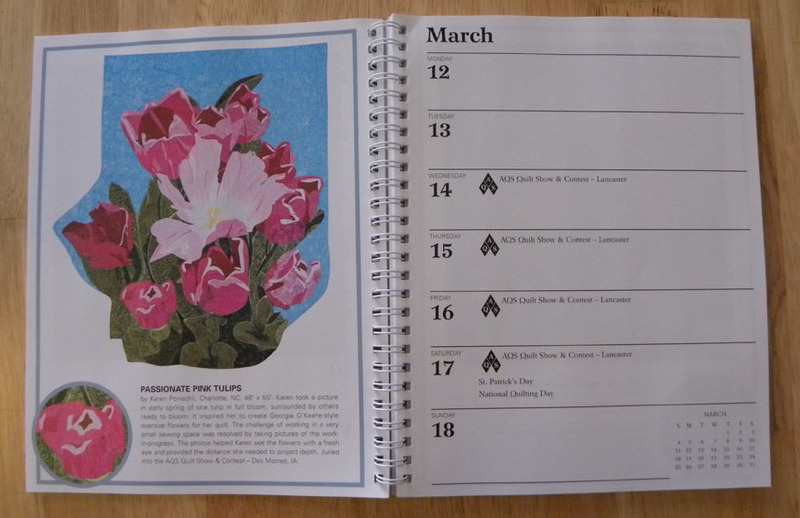 Quilt Art 2012 Engagement Calendar has finally arrived and my quilt, passionate pink tulips is the March 12-18 spread. I’m so excited! Last year my quilt was accepted in the AQS Des Moines Show. 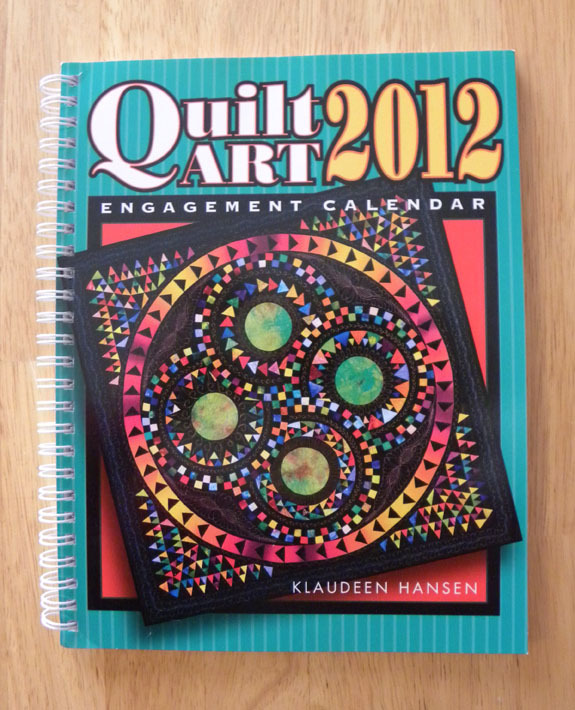 During the show I received a call from Klaudeen Hansen saying she wanted to include my quilt in the calendar. I’m thrilled my quilt was included with all of these other beautiful quilts. I want to include a special thanks to Melinda Bula, who answered my questions and encouraged me while making this quilt and other big thanks to Patti Bethune who also helped me figure out how to finish the quilt. Wow Karen…big congratulations to you. You are in print! Thanks Grace! I’m thrilled. Now I’ve got to get working on my daffodil quilt. Hope you are doing well and I’d love to see you at the meeting on Thursday and catch up.